Domestic violence thrives when we are silent; but if we take a stand and work together, we can end domestic violence. 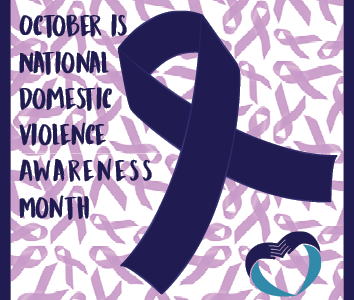 Throughout the month of October, help Alexandra House to raise awareness about domestic violence and join in our efforts to end violence. Make a donation to Alexandra House in honor of the people in your life who have been impacted by domestic violence. Volunteer your time with Alexandra House or local program (Find an organization near you). Wear Purple for Domestic Violence Awareness Day, also known as #PurpleThursday, will be observed Thursday, October 19, 2017. Use wearing purple as a conversation starter and share why ending domestic violence is important to you. Share photos of you wearing your purple shirt with Alexandra House at Facebook, Instagram, and/or Twitter. Alexandra House has prepared printable signage and photo props for you to download and print to use in your photos. Talk with a friend, family member, colleague, or neighbor about domestic violence. Talking about domestic violence helps to erase stigma and shows survivors that they will be supported. (Learn more about what to say). Follow us on Facebook, Instagram, Twitter, and YouTube to view and share our posts and videos for the month of October.